Subscribe Now on iTunes, Spotify, and Stitcher! How can we remove toxic contaminants like TNT from groundwater? Jack Istok and Mandy Michalsen are using pioneering bioremediation and bioaugmentation methods developed here at Oregon State to restore the groundwater at the Umatilla Chemical Depot. 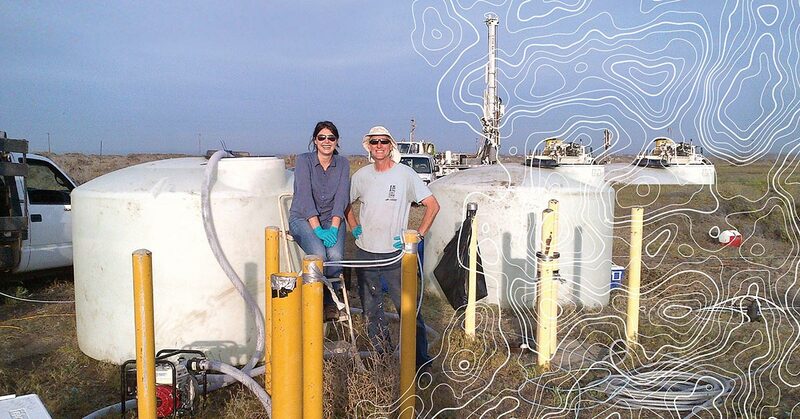 Oregon State alumnus Mandy Michalsen and Jack Istok, professor of water resources, partner to clean contaminated groundwater in Eastern Oregon. JENS ODEGAARD: The wind whistles out on the dry, tumbleweed flats of the Columbia River plateau, it’s like something out of the classic Clint Eastwood film “A Fistful of Dollars.” Here, way out in the middle of northeastern Oregon god’s country, there’s a ghost town, or something close to it. Opened in 1940, the depot received its first shipment of munitions in 1941. And over the years, everything from mustard and sarin gas to TNT and another type of high explosive called RDX were stored there. Today, all the chemical weapons have been destroyed, and the site’s officially closed down, but under the surface there’s an issue that needs resolving. It won’t be solved by a man with no name. But there are a couple of folks who have a plan. JACK ISTOK: Yeah, my name is Jack Istok, I’m a professor of civil engineering. MANDY MICHALSEN: My name is Mandy Michalsen, I’m an Oregon State University graduate. My degree was in civil and environmental engineering at Oregon State, and so I worked with, Jack, of course, was my advisor, and I considered him a groundwater guru. ODEGAARD: Hi, I’m Jens Odegaard your host. Water is an important resource everywhere, but especially out here. Though most people think of rain when they think of Oregon, the reality is that most of the clouds deposit their resources in the Coastal and Cascade mountain ranges in the western part of the state. Irrigation, from wells tapped into groundwater that’s trapped between layers of the basalt lava flows that make up the Columbia Plateau, is what allows this eastern region of Oregon to support a thriving food packing industry, and to produce the famous Hermiston watermelons. This brings us back to the issue that needs resolving under the surface of the Umatilla Chemical Depot. Here’s Mandy. MICHALSEN: And so, at the Umatilla Chemical Depot, part of what they did there was to wash out munitions and sort of recycle and dispose of munitions. Compounds that are in munitions include RDX and TNT, those are acronyms, but they are chemicals that are contaminants. And, TNT in particular colors the washout water pink when it’s exposed to light. And so in order to dispose of the wastewater, they essentially dumped the pink water in unlined lagoons, and so it would absorb into the soil and infiltrate down to groundwater, and it formed a contamination plume: RDX and TNT in groundwater over time. ODEGAARD: Mandy works for the U.S. Army Engineer Research Development Center. In this role she does a lot of groundwater cleanup including leading the cleanup at Umatilla. She brought Jack in to work with her on the project. And together they have plenty of water to purify. MICHALSEN: As you're dumping in the water and the aquifer’s sort of sloshing around over time, the contaminants diffuse out. I guess kind of like a tea bag. So the combined effect of the diffusion and sort of that sloshing around in groundwater, over time, made that contamination zone and the aquifer grow larger and larger. ODEGAARD: Just how large? Well, the contaminated aquifer covers about 200 acres, is 50 to 125 feet or so below ground, and is about 15 feet thick. Here’s a visual that might help: an acre is roughly the size of an American football field without the end zones. So make a swimming pool that’s 200 football fields and 15 feet deep and fill it up with contaminated water. A lot of it. In all Mandy estimates there are about 350 million gallons of contaminated groundwater — which is about 4 million bathtubs full. The primary method used to clean these millions of gallons is a method called pump and treat. MICHALSEN: You could think of placing a straw through the soil down into the aquifer, and then slurping it out. So, that involved installation of extraction wells. And then above ground, there was a giant Brita filter essentially that the pumped out water was passed through, and then on the other side of the Brita filter it was clean. ODEGAARD: This clean water was then routed out beyond where the contaminated plume extended and absorbed back into the aquifer. ISTOK: And that technology called pump-and-treat works well when the concentration of contaminants are high because then for every gallon of water you pump, you get a substantial amount of the explosives back out of the ground. ODEGAARD: The problem at Umatilla is that the contaminants pose a health risk at concentrations as low as even a few parts per billion. ISTOK: You’d have to get a billion pounds of water out to recover one pound of explosives; and so if you're pumping like that, that’s not very efficient. ODEGAARD: In other words, to tackle this problem in a timely and efficient manner, it made sense to look into another other cleanup method. A method that wouldn’t require pumping millions of gallons of water out of the ground, but rather treating the water in the ground — a method called bioremediation. Luckily for Umatilla, and for this podcast, there’s a method for trying out bioremediation, developed right here at Oregon State — a method called push-pull testing. MICHALSEN: Jack, would you consider yourself kind of the “Godfather” of push-pull test technology? The person that's a key developer of the approach? ISTOK: Yeah, I would think I was the developer. I don’t know my genetic heritage relationship to it, but yeah, no, I was the first one to do it, and it’s widely used now. Many people use it, of course, now, but. MICHALSEN: Yeah. Good, because, of course, I sing your praises, haha, and tell people that all the time. The approach is really powerful, because it's elegant, it’s simple. ISTOK: Mandy led a project at this site to use native bacteria in the ground that can degrade the contaminants when they’re stimulated to do so, and that’s called bioremediation. So, if you can imagine there’s a 200-acre plume and you're trying to stimulate bacteria that are living in the ground, you have to figure out what to feed them, how much to feed them, how often to feed them, where do you place those chemicals, and so on. On a big site like that, that’s difficult — there’s no easy lookup way to answer those questions. And so, at this site, we used this method that was developed at OSU called a push-pull test where we use monitoring wells across the site as test beds or as pilot testing so we can feed the organisms around one well one type of carbon, and see how well they degrade the contaminants, and quantify that process, get rates, reaction rates, so that then we can scale up to implement something over a very big site. ODEGAARD: This method is called push-pull because scientists like Mandy and Jack push these solutions into the wells and pull out samples later to run tests and see if what they’re hoping to accomplish is actually happening. ISTOK: Talking about Umatilla, there are these explosives, and there are some bacteria that can degrade those explosives. But if you just grabbed a handful of soil, there could be a thousand or more different species of bacteria in there, and you’re trying to stimulate the growth of just the ones you want, and none of the others. If you try to do it one by one in a laboratory setting, you can easily test out a thousand different combinations of things and find one that works, but those results may or may not apply directly to the field because the field is so big and so complicated, and so on. So what we do is we take a volume of water and add compounds to it, and inject that into a well, and then we sample that well over time and by monitoring the composition of the water we inject, we can detect that the desirable reactions are occurring; we can quantify the rates of those reactions; and that way we know that when we try to implement a treatment over a very large site, we're not going to have problems we didn't anticipate because we didn’t have enough information. ODEGAARD: At Umatilla, Jack and Mandy found the most successful bioremediation process to be anaerobic, or without oxygen. They injected lots of sugar into the aquifer to stimulate the growth of these useful native bacteria, and as these bacteria grew and consumed the oxygenated compounds in the water — compounds like nitrate for example — they created an anaerobic environment. Microorganisms degrade RDX and TNT, the toxic compounds, under these anaerobic conditions. The results of this bioremediation experiment, first done as a single well test and then scaled up to a much larger portion of the site, were very promising. MICHALSEN: You know when you looked at the plume map, it was all sort of contaminated, and now when you look at a plume map there’s a big hole in it because we essentially knocked out the source area with that approach. ODEGAARD: In addition to bioremediation, Jack and Mandy also explored a process called bioaugmentation at Umatilla. Bioaugmentation is basically adding non-native bacteria to the aquifer to consume the toxic compounds. MICHALSEN: The bioaugmentation pilot was also successful, and so that technology is being considered along with the anaerobic technology in a new feasibility study where it’s sort of the cost and effectiveness of one or both of those strategies is being considered officially in a regulatory context. ODEGAARD: As Mandy mentioned, the next steps in the Umatilla cleanup are to continue testing and presenting their findings to project stakeholders who make the final call about which method or methods will continue to be used. MICHALSEN: Yeah. Well, at this site, all of the information that was obtained through the field pilot testing that was completed is being considered officially in that regulatory context now. That’s an important step. Originally, when the remedy was established, it was identified as a pump-and-treat remedy, so that’s what folks are held to in a regulatory sense. And so, in order to change that remedy to include bioremediation, that requires activating a regulatory process, which requires time, and energy, to work, so that’s still under consideration. But, folks that managed other sites that are similar to Umatilla were very encouraged by the results that we achieved, so we’ve been working on other similar sites. ODEGAARD: Mandy estimates that there are 300 or more explosive-washout-lagoon type sites across the United States that could be cleaned up via bioremediation and bioaugmentation. But even more impactful is the reality that the push-pull method developed by Jack and tested at Umatilla could have a much broader reach. ISTOK: Well, it’s designed to look at chemical reactions in groundwater and there’s many, many of those, because of course we have tens of thousands of contaminants we’ve released into the environment — all different kinds. And, you have to tailor the process to match the properties of the chemicals involved. So, if it’s a component of gasoline, you would want to pursue one set of processes. If it’s a cleaning solvent or a radionuclide, that’s another set of processes. ODEGAARD: This is huge, because one of our great missteps, conducted in the name of progress, or under the pressures of war-time production, or just due to flat out ignorance of the consequences, has been polluting the most essential element of life. ISTOK: Groundwater is of course where all the freshwater is on the planet, right? And I know on the west side of the mountains here in western Oregon, we think it rains too much or something, but we should be very fortunate that it does because it keeps our groundwater recharged and full. And other places the groundwater accumulated in the past during wetter climates — so thousands of years before any of us were born — and preserving that resource for whatever use we want to put to it is important. ODEGAARD: It’s our obligation to address these past mistakes and to do it in the most efficient way possible. MICHALSEN: You know the government has this legacy waste and this environmental stewardship responsibility, and it's expensive. So, identifying ways to make cleanup more cost-effective and time-effective so that fewer dollars, and people resources, and so on are dedicated to that. That’s a real benefit, too. ODEGAARD: The ultimate goal is to take sites like the Umatilla Chemical Depot and return them to a state where they are no longer fenced off, barren ghost lands haunted by the past. ISTOK: Maybe no one’s going to build a home on the former Umatilla Chemical Depot and start pumping water to drink, but the goal is to get all these contaminants down to drinking water standards. And so it’s reclaiming the resource, it's the ultimate in recycling. 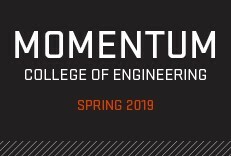 ODEGAARD: It’s this willingness to tackle these huge, millions of gallon type problems with innovative solutions that brought Mandy to Oregon State in the first place. That and some showbiz, this time of the small-screen variety. MICHALSEN: When I was younger, I was a big fan of the TV show “Twin Peaks,” which was set in the Northwest. And so I always thought, hmm, boy, it might be neat to move out west. 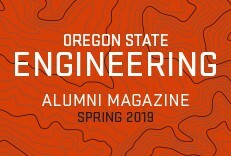 But I had the interest in groundwater remediation and so on before, so I'm really glad that I found Oregon State and connected with Jack. He’s been a tremendous mentor and teacher, and I’m really grateful to know him and get to work with him, still. Thank you, Jack! ODEGAARD: This episode was produced and hosted by me, Jens Odegaard. Audio editing was by the talented Molly Aton. Our intro music is “The Ether Bunny” by Eyes Closed Audio. You can find them on SoundCloud and we used their song with permission of a Creative Commons attribution license. Other music and sound effects in this episode were also used with appropriate licenses, and you can find those links on our website. 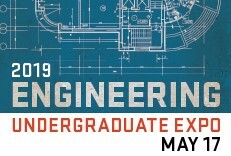 For more episodes, visit our website: engineeringoutloud.oregonstate.edu. Also, please subscribe by searching “Engineering Out Loud” on your favorite podcast app. See ya on the flipside.